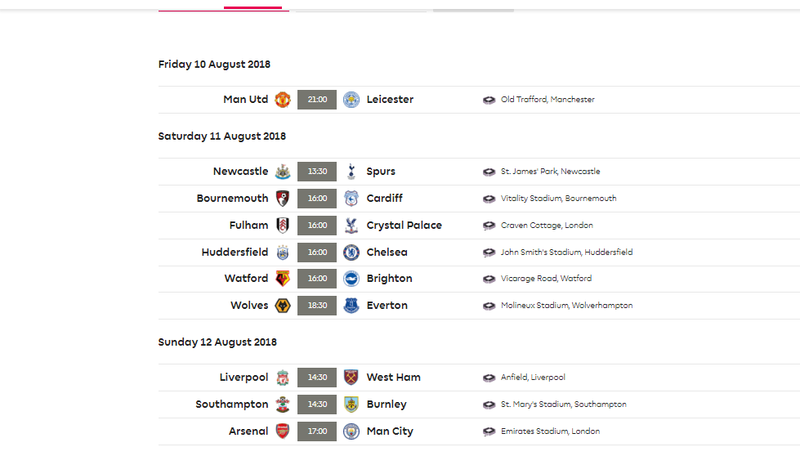 The Premier League will start again during this week. City will win the league but won't be as easy as last year, still be very dominant though. United second if we sign Alderwiereld, Liverpool Third. Not sure who occupies 4th i was swaying towards Chelsea but they are too open and alot of their players dont suit a back four. Tottenham havent made any signings and Arsenal i havent seen much off and are a wild card. Last edited by Givenchy; 7th August 2018 at 11:38 PM. Hopefully there are private planes ready for Mina and Gomes. Btw, anyone playing FPL ? First EPL match of this season wiill start in 1 hour. And the game has started now. Pogba scored the opener after 2 minutes. United's right side is being eaten up by Chilwell and Gray. Leicester playing tikitaka with far inferior players. People are upset about Valverede, but i can't (and don't want to) imagine how an MU fan feels about TSO. United are going to concede here if they keep letting Leicester have the ball.